Overview Sun Flare Systems Inc® is a North American Renewable Energy and Solar Research & Development Media Company that is taking on some of the of the worlds toughest challenges. From solar inventions, to cleaner, more efficient Solar Systems. We are also leading the way in outdoor media advertising digital and static billboards. With our Patent Pending “Sun Flare Solar Mini Billboard ™ to the Patent Pending Sun Flare SOS in a Box™. Sun Flare Systems Inc. is the next ground breaking innovators for many years to come. When giving the right opportunity Sun Flare Systems Inc® goes to all ends of the solar spectrum to invent consumer powered products. The SOS in a Box™ was built to support and aid in teaching efforts in countries like Africa were power is generated solely by fossil fuels such as diesel generators. 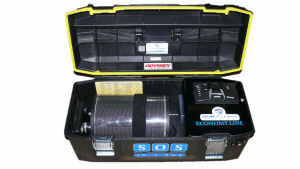 Our SOS in a Box™ is more than just for use in relief efforts. 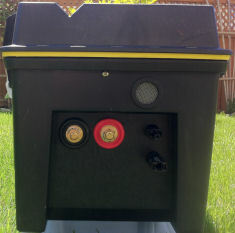 It has evolved into a portable solar generator that can power up first responder communication. 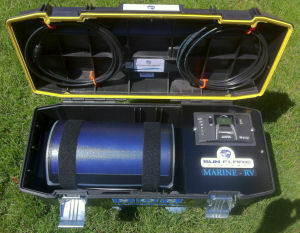 It can also be adapted for marine, RV and consumer recreational efforts, such as camping, hunting or fishing. It also is a good alternative to gas generators for those times when your home power goes down. We have been given an opportunity to work with companies that provide vital equipment like wireless systems, first responder equipment and remote satellite communications. When it comes to solar innovation Sun Flare Systems Inc.® “WE DON’T FOLLOW INDUSTRY STANDARD WE LEAD THEM”. In the few short years of incorporation our company has submitted three patent pending products with a fourth in the works. The first of our patent pending products is the Sun Flare Solar Sleeve™ which started the company on a renewable innovation path. The Sun Flare Solar Sleeve™ was innovation, setting a stage for one of the future aspects of solar. Imagine taking every municipalities street lights and have them illuminate the road we drive on while being off the grid and powered by solar. Street lights that will withstand hurricane force winds. Sun Flare Systems Inc.® doesn’t just stop there. With the development in solar technology the company has broken through all laws of solar with their “Sun Flare Solar Mini Billboard™. This Solar Powered Mini Billboard can be used as entrance signage. It gives corporations the visibility of going “green” without the illusion of traditional mono or poly crystalline panels. It takes you off-grid while illuminating much needed exposure of the Corporate image. The company continues to gain the “notice” of the media being aired on CNN’s “Road to Rio” in April 2012. This was seen in over 200 countries around the globe launching the start of the success of their business platform. Sun Flare Systems Inc.® is “A Company on the verge of taking off” as written in the summer edition in “US Business Executive Journal” pages 88-89. Sun Flare Systems Inc.® has the innovation to change outdoor media forever. Think of all those outdoor billboards that are still the world’s largest media advertising avenues. These all come with a cost of electrical consumption. If we were to take one illuminated outdoor billboard at a time and take it off-grid using our latest technology think about the carbon offset we could achieve. This would help reduce the consumption on energy that strains our electrical grid today. We can take any size static board with the graphic image on the solar and have it still illuminated. Now that is a way to change media.